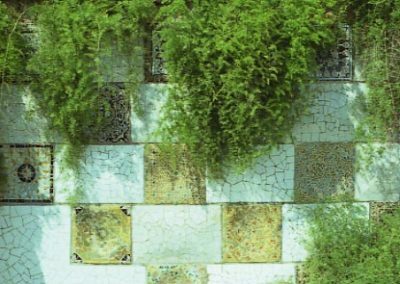 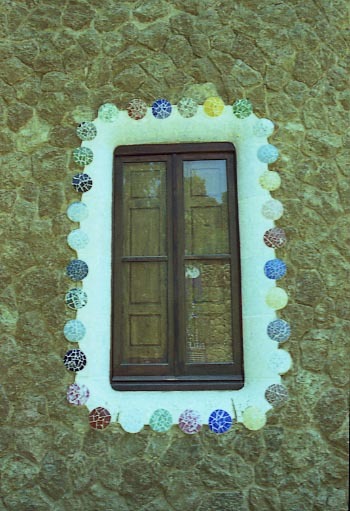 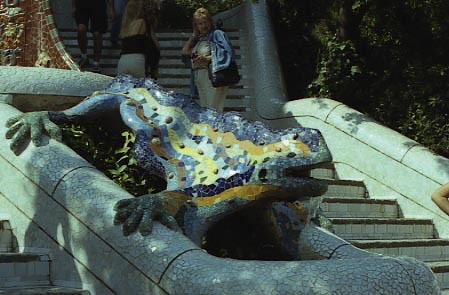 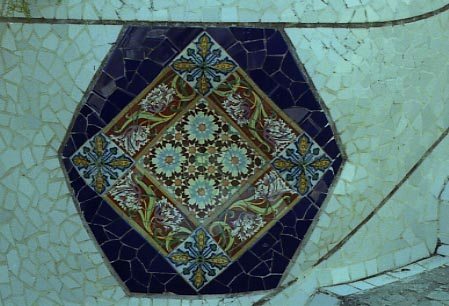 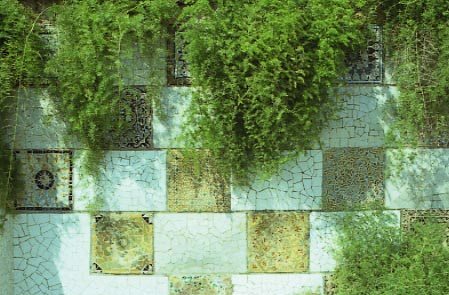 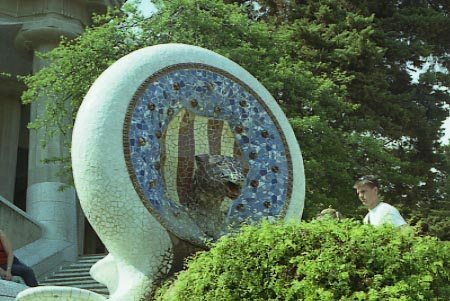 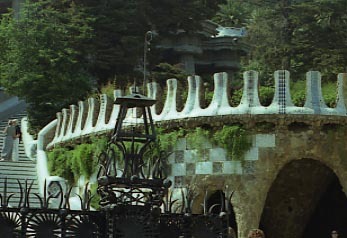 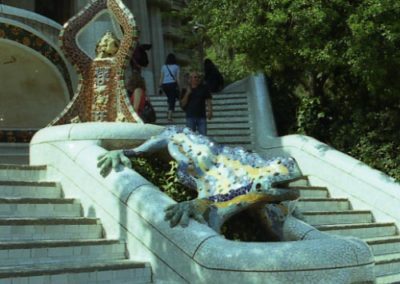 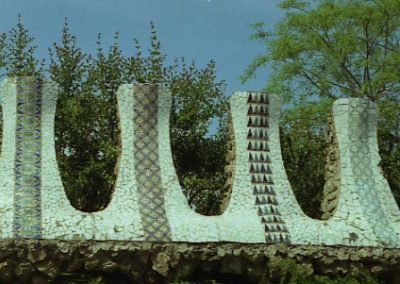 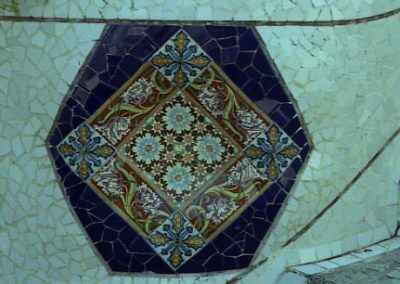 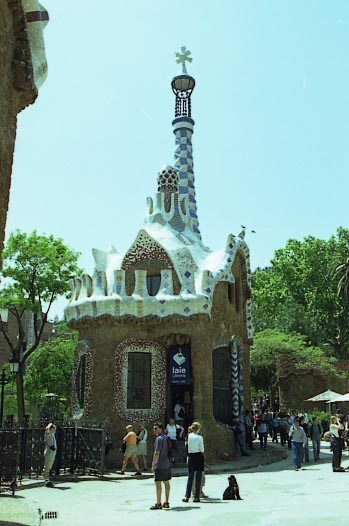 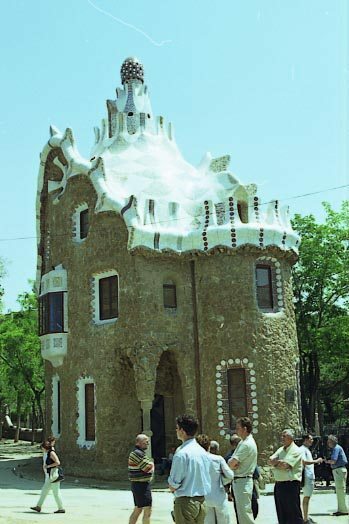 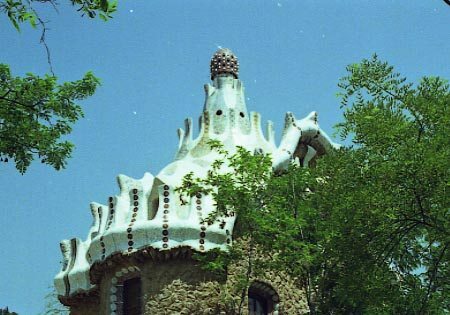 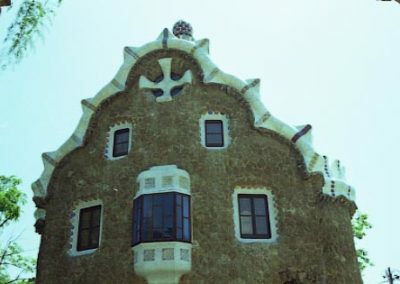 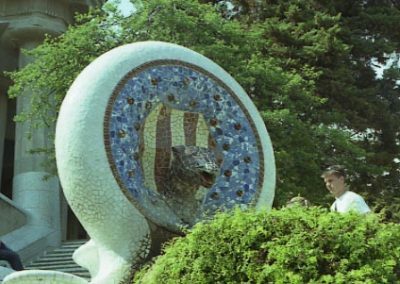 The park is enclosed by a wall crowned by a border showing medallions with the inscriptions “Park” and “Güell” made in “trencadis” (broken mosaic pieces). 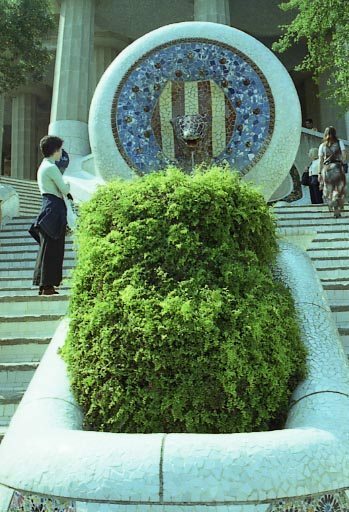 That medallions are a sort of park’s logo. Fourteen of it are situated in various forms. 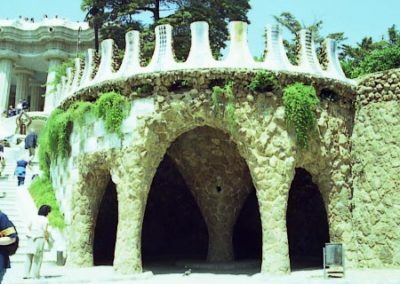 The main gateway stands in Olot street and is situated among two pavilions (warden houses). 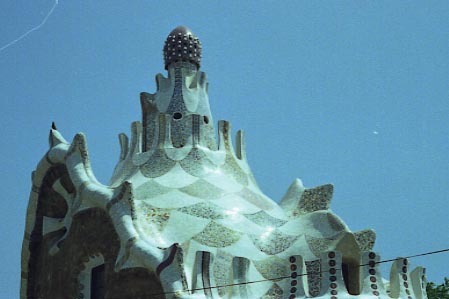 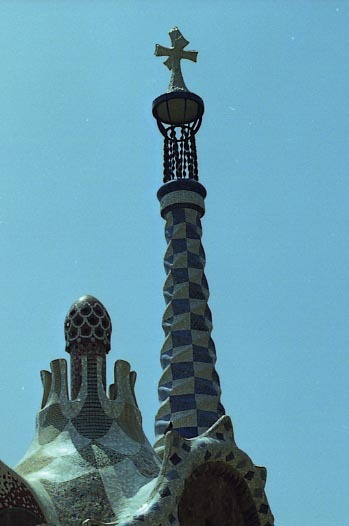 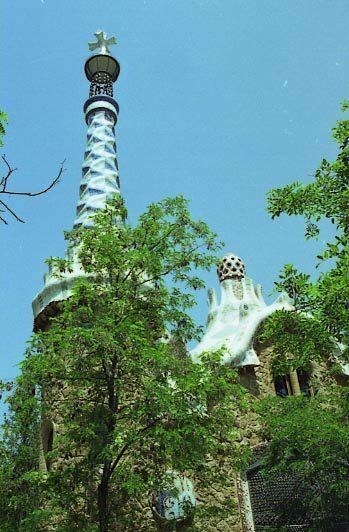 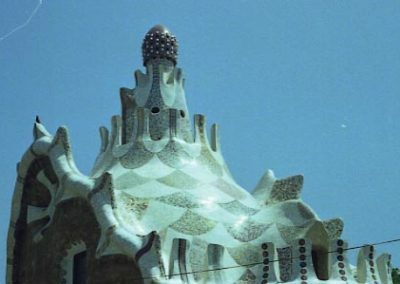 Both buildings are crowned by domes remembering mushrooms, the left one has a tower crowned by the typical of Gaudí four branches cross. 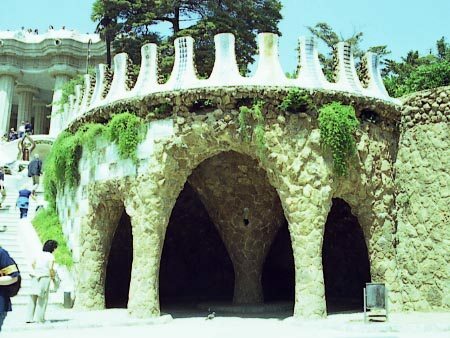 Entering into the park, it is on right side a cave with a central column following the structure of some medieval crypts. 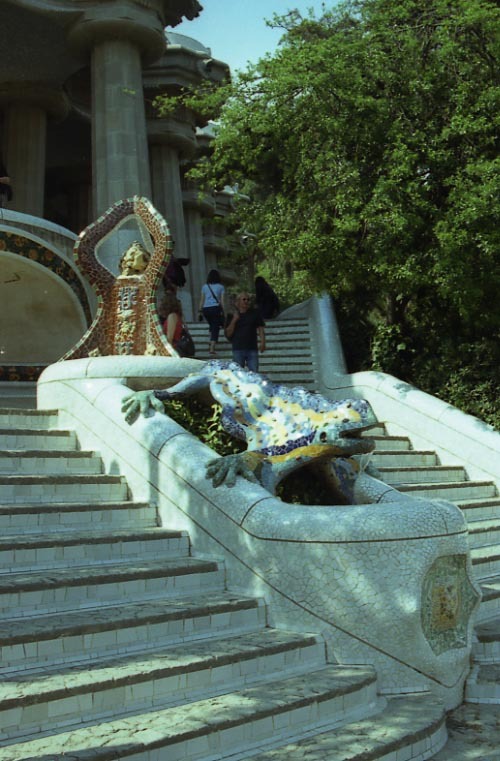 Right ahead we have a magnificent perspective of symmetric stairs with in the center three interesting figures: The serpent head with the Catalan symbol of four bars, the dragon (or salamander or lizard following other opinions) and the strange tripod with unknown symbolism. 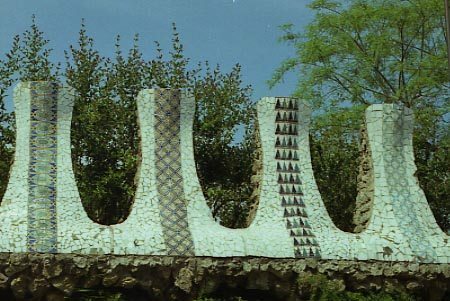 On top of that steps, the columns supporting the main square and over the benches back covered also with trencadís (broken colored ceramic).